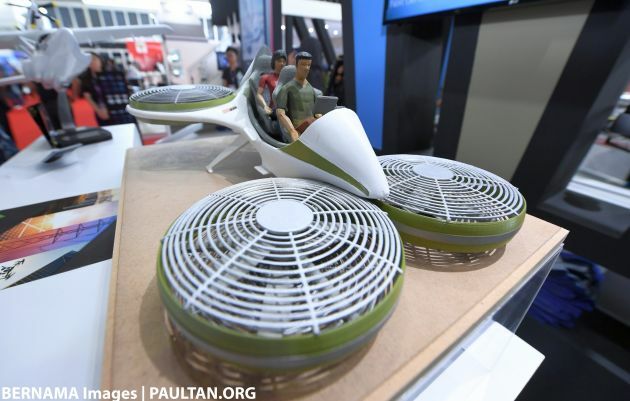 There has been no shortage of commentary from the public following the reveal of a flying vehicle in scale model form at the Langkawi International Maritime and Aerospace 2019 (LIMA 19) exhibition. Many Malaysians have been making fun of the so-called ‘flying car’ project on social media, with many expressing scepticism over the whole thing, while some have cheekily asked if the model was made from KDK fans. Now, entrepreneur development minister Datuk Seri Redzuan Yusof has taken a dig at those poking fun of the project, saying that if they don’t want progress, they can stay behind the times and ride around in ‘bamboo’ cars, The Star reports. “Well, they can choose whether they are going to stay behind. People call this a state of denial, whereby they can choose to stay behind. It’s okay to stay under bamboos. (If they) want to ride ‘bamboo cars’, that’s okay too,” he told reporters at parliament today. 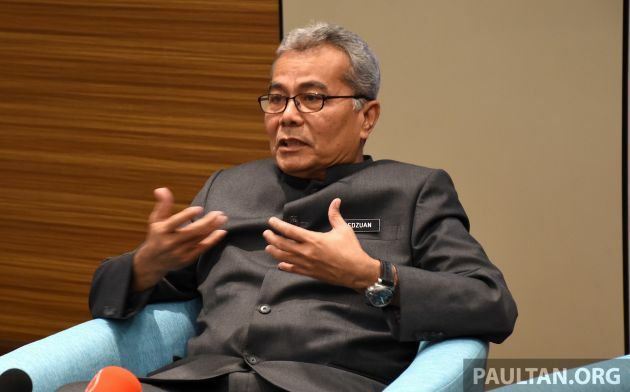 Mohd Redzuan said that the government’s endorsement of the privately-funded air mobility project was aimed at developing human capital in the country. “It’s more towards giving knowledge education to these people. We don’t want this group to be left behind. Actually, these Malaysian youths (behind the project) are already far ahead, and they are in the same ranks as those who invented and did research (on this project) at an international level,” he stated. Earlier, in the Dewan Rakyat, Mohd Redzuan had explained that the ‘flying car’ term was used to describe an air mobility platform. He said that the format had plenty of future promise, not least in reducing travel times. “With air travel from location A to B, and without the impediment of any traffic jams and roads, we have carried out research that suggests as much of 75% of travel time can be shortened,” he told MPs at the lower house. “With an air mobility platform, you can begin your journey from the doorstep and get to your intended destination (with ease). This will allow you to travel from your home to work or to a shopping centre, or from your house to the airport. It is not intended to replace long-distance flying,” he said. 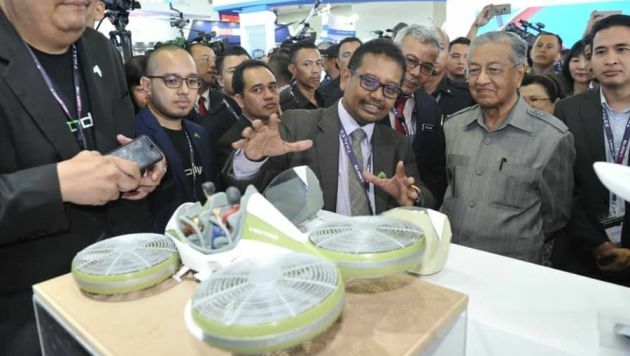 Meanwhile, Aerodyne Group CEO Kamarul Muhamed clarified that what was shown at LIMA was a 1:10 scale model of the Vector, a drone-based point-to-point air mobility solution, and was not the Malaysian “flying car” that has been the source of jokes over the past month. He said he was aware of the chatter on social media regarding the whole matter, but said it was part of the process to educate the public unfamiliar with the technology, The Star reports. Kamarul said that eight aerospace and mechanical engineers from the company were working on the prototype, which is expected to ready by the end of the year. The Vector, he explained, will cost somewhere in the region of RM500,000, but development will be funded by the company and not involve external funds. He explained that the Vector – which will weigh 600 kg and have a 200 kg payload – will be able to perform a multitude of roles, from handling cargo duties to ferrying passengers, among others. Aerodyne is a global player in the drone services industry, and is ranked seventh internationally by Drone Industry Insights. The company started in 2014 with three people, and now employs about 280 staff in 24 countries globally. The post Think ‘flying cars’ are a silly idea? Drive around in ‘bamboo’ cars then, minister chides Malaysians appeared first on Paul Tan's Automotive News. 0 Response to "Think ‘flying cars’ are a silly idea? Drive around in ‘bamboo’ cars then, minister chides Malaysians"